The 2017-2018 flu season has turned deadly. According to the Centers for Disease Control and Prevention (CDC), there has been “widespread” flu activity across the United States. Reports show that over 60,000 samples have tested positive for the flu and over 1,200 people have died due to flu-related complications. North Carolina has accounted for 2,500 of those positive diagnoses and 67 of the deaths. With such a severe flu season, the question remains – why is the flu so bad this year? The cause traces back to a dangerous H3N2 strain and a less effective vaccine. Unfortunately, these two things combined, create the perfect storm for a, particularly active flu season. Despite common myths about the flu vaccine, health care professionals recommend getting the vaccine to lessen symptoms if you get sick. Use “What’s True About the Flu?” page to find a flu shot provider close to you. If you’re a Blue Cross NC member, What’s True About the Flu? can help you find a shot provider close to you. Your insurance plan may completely cover the cost of the vaccine. Call the number on the back of your ID care to confirm your benefits. What is the H3N2 Strain and Who’s Most at Risk? The H3N2 strain of the flu is currently responsible for 90 percent of the flu cases this year. It is a strain of the Influenza A virus and is consistently associated with the most hospitalizations, illnesses, and deaths. Overall, the strain is more difficult to prevent because it mutates quickly, making it harder to create a targeted vaccine. Children, the elderly, and those with certain chronic health conditions like heart disease, lung disease or diabetes are hit the hardest by this strain of the virus. However, everyone can experience flu complications. This year, the flu has not seemed to discriminate based on age or health condition. Physicians and doctors say it all comes down to the body’s immune system response. When the body comes under attack from an infection, its natural response is to fight the invader. But, sometimes the body fights too hard resulting in a cytokine storm. A cytokine storm makes an individual even sicker, causing the body to go into shock, sepsis and sometimes organ failure. This has been the case for many individuals this flu season. If anyone you know shows worsening flu symptoms, seek emergency care as soon as possible. Receiving care quickly is the best way to prevent further complications. Even though the flu vaccine has been reported to be less effective this year, it is still the number one way to prevent the flu. While the vaccine may not completely prevent you from getting the flu, it can drastically reduce your symptoms and lower your chance of flu-related complications. The flu shot also helps protect others. By getting vaccinated, you protect those that are more susceptible, including babies, children and the elderly. Remember, it takes two weeks for the flu shot to go into effect. It’s not too late, visit your Doctor’s office, a pharmacy or a walk-in clinic to get your flu shot today. Your insurance plan may completely cover the cost of the vaccine. Call the number on the back of your ID care to confirm your benefits. Aside from getting your flu shot, preventing the spread of germs is another way to avoid the flu. 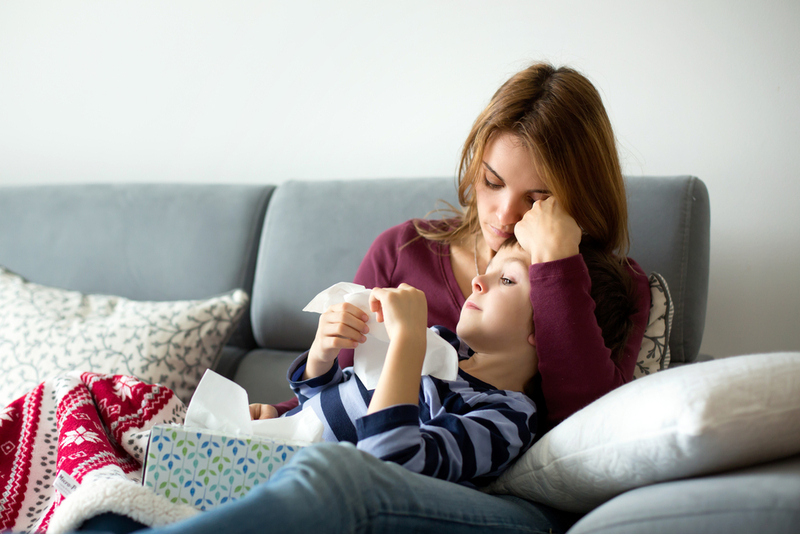 Our blog post on flu prevention provides tips on how to stay healthy this flu season. How can the flu be treated? If you have any fever (including low grade) and cough, get seen and tested by a provider. If you or a loved one does get the flu, the CDC recommends treatment with antiviral drugs like Tamiflu or Relenza. These drugs work to lessen your flu symptoms and will help you feel better, faster. To be the most effective, treatment should start within two days of your first symptoms. This year’s flu season is expected to last until the end of March. For more information on the flu, talk to your doctor of health care provider when you go in for your flu shot or visit the Centers for Disease Control and Prevention.